The first thing you might notice about Seoul is the technological prowess: sleek, quiet trains whisk you from Incheon International Airport to the central station in less than an hour, inside spotlessly clean carriages fitted with electronic maps above each set of doors – a sequence of red and yellow lights to chart the 48-kilometer (30-mile) journey. Then, once you’ve navigated the maze of passageways at Seoul station to get on a subway train, there comes a jolt of global cosmopolitanism: you may well encounter a blonde-haired expatriate who speaks fluent Korean and a local student joking in English with two African friends. But what I love most about Seoul is the sense of balance that underpins it all. Emerging above ground, Bama and I find ourselves in a heady mix of the avant-garde and centuries-old traditions. 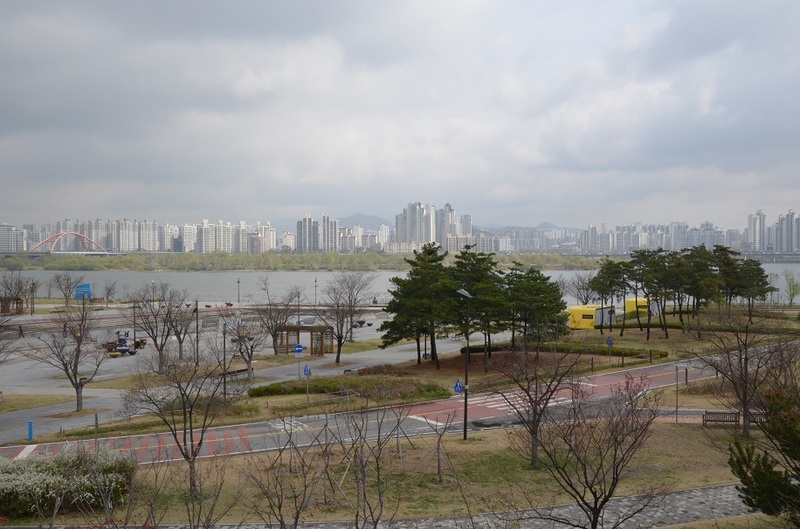 South of the broad Han River, the gleaming financial district of Yeouido rises from its namesake island, which once hosted a flood-prone international airport. But look beyond the futuristic skyline and the neon-washed streets in the commercial areas north of the Han and you’ll catch a glimpse of old Seoul: humble courtyard homes, Buddhist temples, and stores selling traditional wares from glazed porcelain to calligraphy brushes and hand-pressed paper. 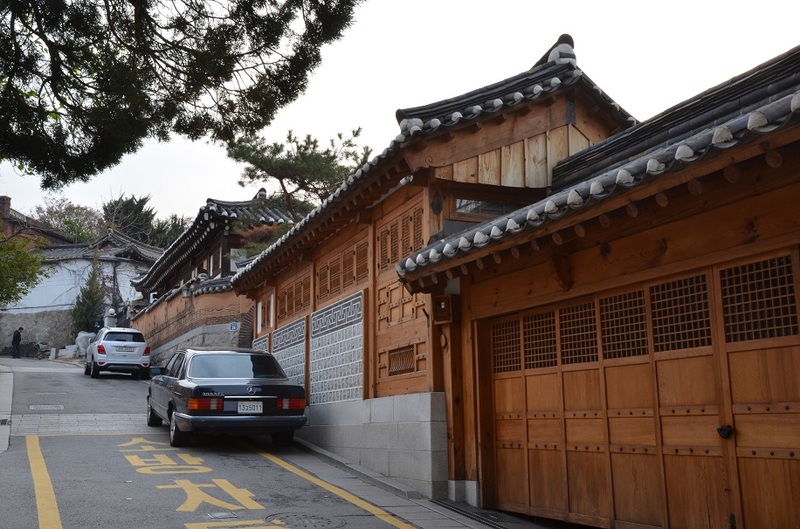 There’s even a neighborhood and subway station named Gongdeok, or “Confucian values”, which have shaped Korean society enormously, not least in the family-oriented way of life, an innate drive for educational achievement, and aspects of its legal system. 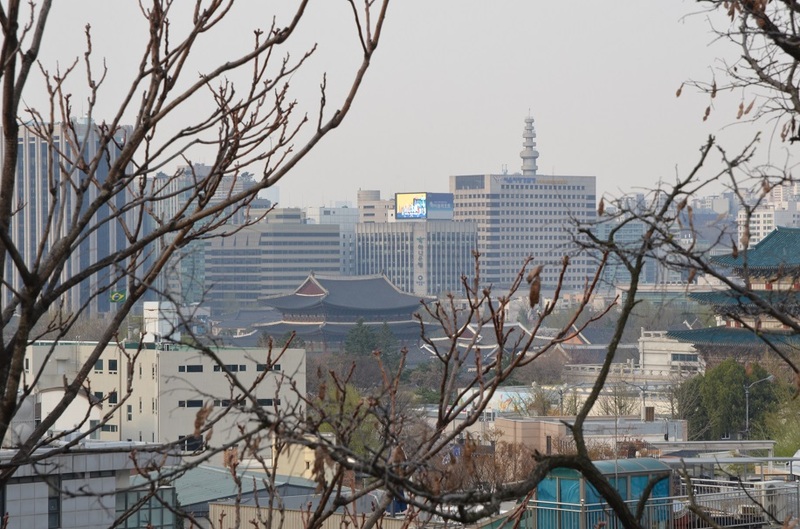 Indeed, Seoul has the enviable ability to run headlong into the future without losing a sense of its own history. Walk down the hill from 600-year-old Bukchon, a proliferation of hanok traditional houses built in wood and stone, and the tiled roofs with upswept eaves soon give way to small apartment buildings, a procession of artisanal shops and cafes, then utilitarian facades and busy intersections that will land you in the thick of the modern city. Seoul encapsulates the balance between yin and yang in the Taegeuk, a graphical symbol more than 1,000 years old that finds its most prominent expression as two interlocking blue and red semi-circles on the South Korean flag. It is perhaps out of necessity that Koreans know how to strike a balance. 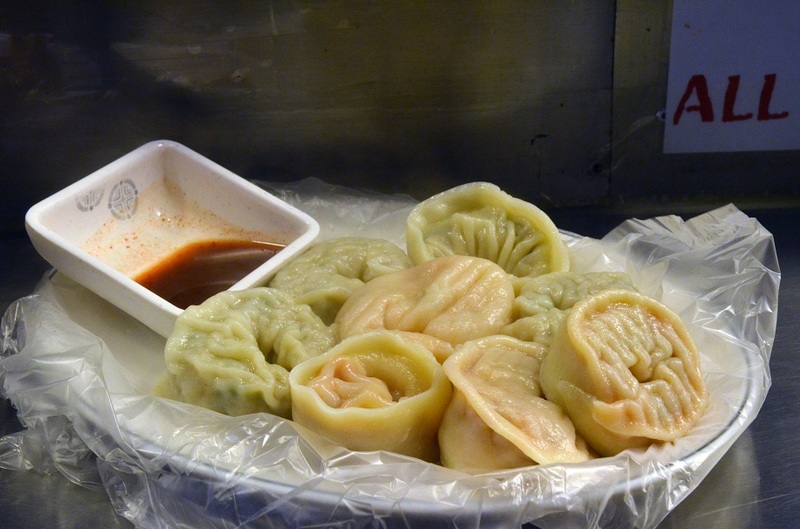 I once read a comment by an American of Korean and Polish parentage who explained how Korea was the “Poland of Asia”, which wasn’t made in reference to a shared fondness for pork sausages and rustic, uncomplicated cuisine, but rather their geographic position between two larger and more powerful neighbors. Much like Germany (or Prussia before 1871) and Russia’s treatment of Poland over the past 300 years, China and Japan have fought over Korea for centuries, launching multiple invasions to bring the resource-rich peninsula into their respective spheres of influence. As much as 60 percent of Korean words are of Chinese origin, but hangul, a distinct Korean alphabet developed back in the 15th century, has prevailed as the main writing system. When Japan colonized Korea from 1910 to 1945, the Japanese authorities embarked on a campaign of forced cultural assimilation (banning the Korean language from schools and outlawing Korean language publications) while systematically destroying much of Seoul’s centuries-old royal palaces, which they saw as symbols of Korean sovereignty. And yet the Koreans have proudly maintained their identity, language, and culture in the face of this enormous pressure. Unlike in its much larger neighbors, visitors here do not need to navigate a minefield of social norms and etiquette (as in Japan) or a maddening free-for-all in which everyone is hardwired for self-preservation, the rest of society be damned (as in mainland China). I find South Korea to be a happy medium between the two; here is an East Asian country that is a little more relaxed and less hung up on public displays of formality, where denizens are considerate enough not to talk at 100 decibels and shove others out of the way to jump a queue. What I also love about Seoul is the sheer dynamism; the fact that you’ll find life in the streets at any given hour of the day. Bama and I see this firsthand during our late-night arrival. At almost one in the morning, there are still people milling about outdoors, and we pass a number of street-side tents where residents can drown their worries in soju – a traditional rice-based Korean liquor – and eat barbecued meats before taking the last train home. 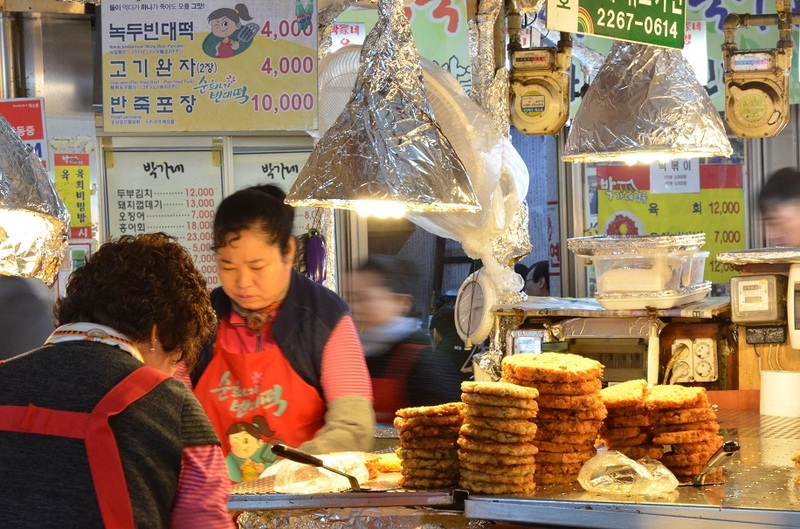 I advise you to purposefully get lost in the labyrinthine corridors of Gwangjang Market, where you can rub shoulders with students, white-collar workers unwinding after a long day at the office, young women in leather jackets and short skirts contemplating an assortment of pickled foodstuffs, Korean-speaking expats hunched over a plate of steaming comfort food at a communal table, and fellow visitors staring wide-eyed at the dizzying array of street food stalls – their counters piled high with thick mung bean pancakes (bindaetteok), the tastiest mandu dumplings you might ever have, and mounds of silky dangmyeon noodles (made of sweet potato starch) alongside fresh leaves and julienned vegetables ready to be thrown together in a wok to create japchae, a phenomenal stir-fried vegetarian noodle dish. 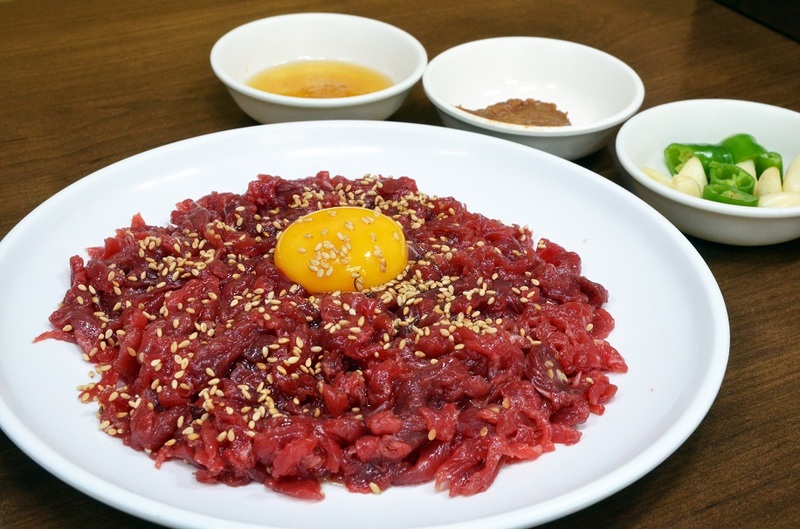 It’s at Gwangjang Market where we duck into a dimly-lit alleyway lined with non-nonsense eateries specializing in yukhoe, or Korean steak tartare topped with raw egg yolk and a sprinkling of sesame seeds on a bed of julienned Asian pear. Inside one of these places, the warmhearted matriarch puts down several fully laden condiment dishes with a smile and motions for us to mix their contents into the yukhoe. So, we do, infusing the beef and pear with the distinctive nutty aroma of sesame oil before pouring in a thick savory paste, cloves of fresh garlic, and then chopped unseeded green chilies. It is a riot of flavor and texture that dances on the tongue. 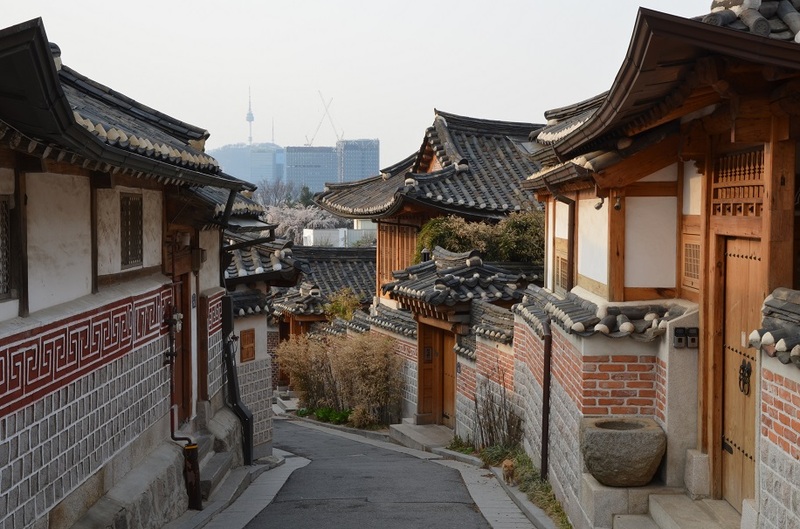 The South Korean capital may be a sprawling megalopolis of 10 million, but it still feels personable and easy to navigate on foot. 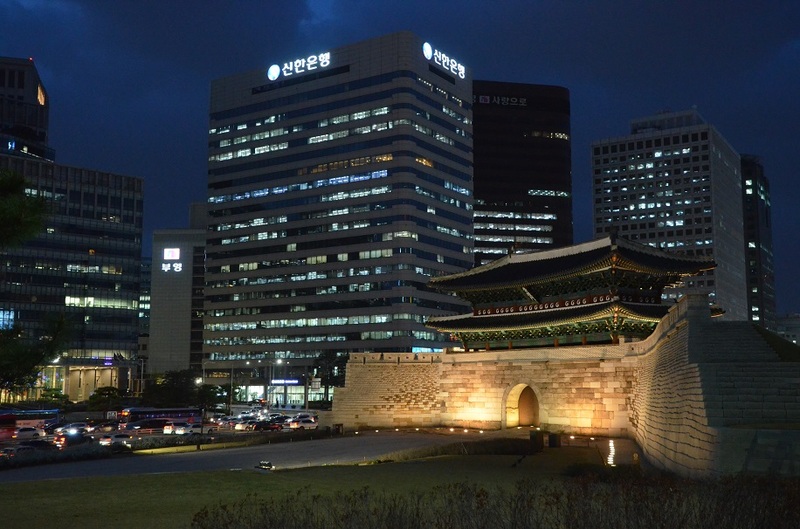 One evening, Bama and I make a beeline for Namdaemun, an iconic 550-year-old landmark that was once one of three major entry points into Joseon-era Seoul. 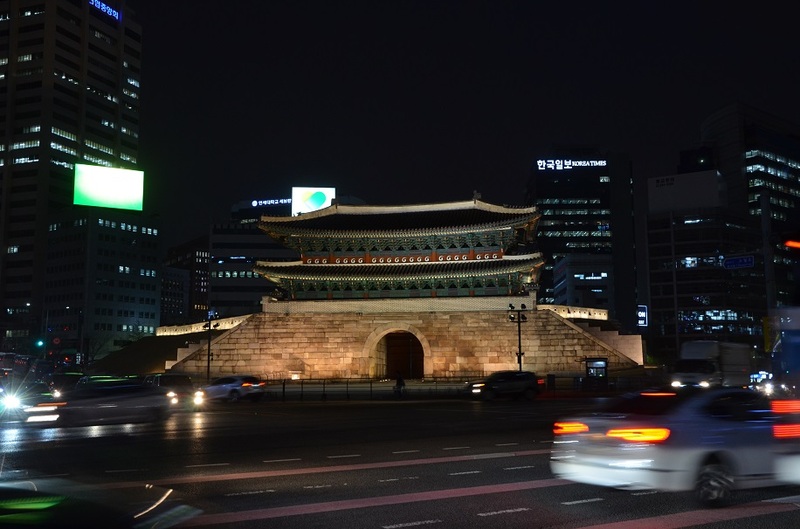 Officially known as Sungnyemun, the “Gate of Exalted Ceremonies”, Namdaemun was painstakingly reconstructed using age-old construction methods after the original wooden gatehouse was destroyed in a 2008 arson attack. In a remarkably prescient move, heritage conservationists had used 3D laser-scanning technology to create nearly 200 pages of blueprints just two years earlier. 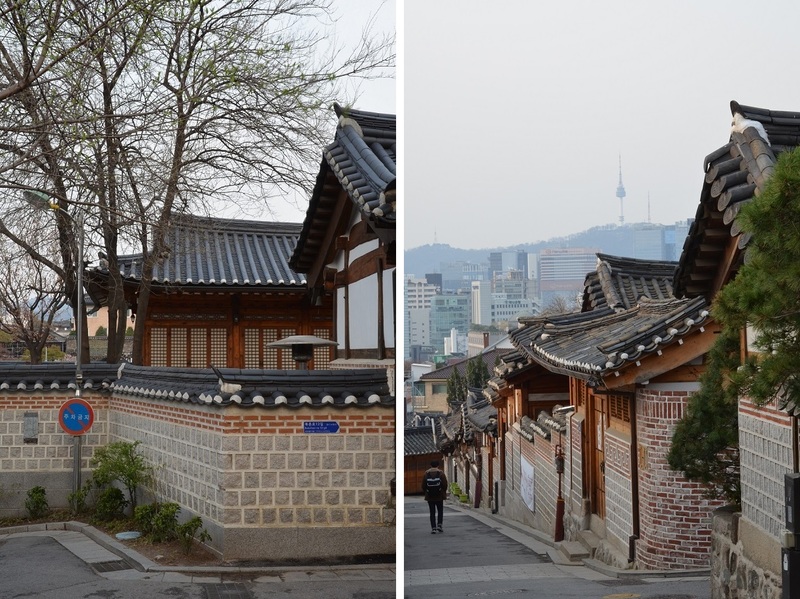 I love the fact that Seoul (unlike my native Hong Kong for example) is serious about preserving its built heritage. I also love how the municipal authorities have been reclaiming precious space for pedestrians in a series of urban renewal initiatives. 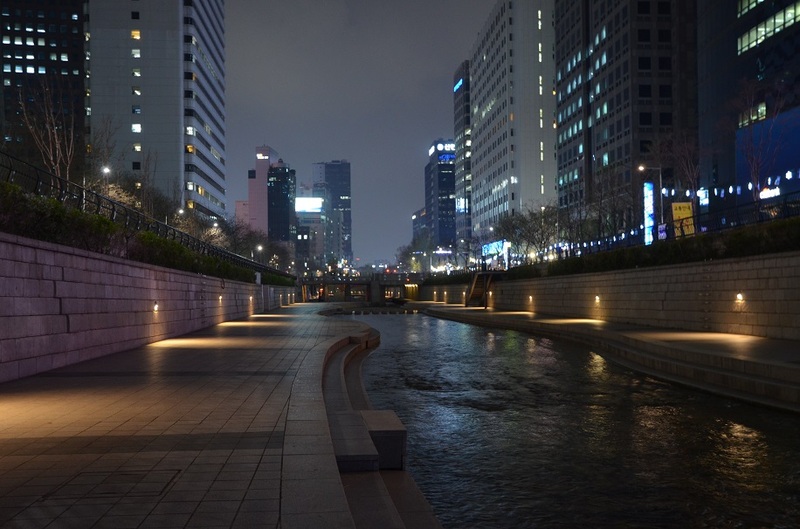 The most recent example is Seoullo 7017 – an elevated linear park akin to New York’s High Line – on a disused kilometer-long highway overpass. 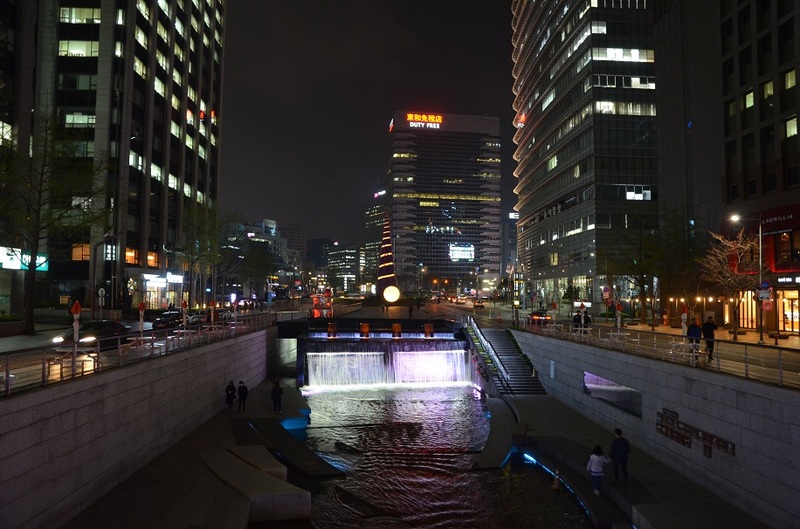 Previous mayors have also downsized Sejongno, a central avenue leading to Gyeongbokgung, the city’s most impressive royal palace, to 10 lanes from the original 16 to create pedestrian-friendly Gwanghwamun Plaza. 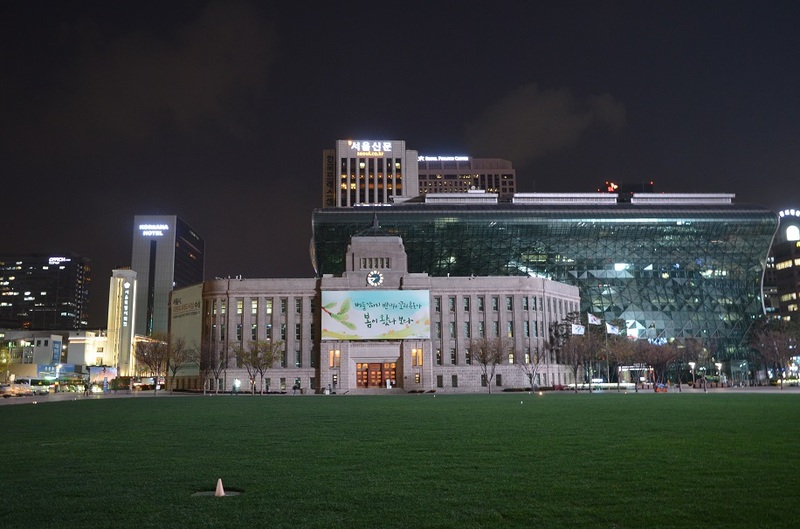 A similar success story is Seoul Plaza, which turned an intimidating traffic junction outside City Hall into a smoke-free public space centered on a large elliptical grass lawn. A lovely article. I’ve just bumped Seoul up a few notches on my bucket list. Thank you, Piotr – hope you make it there soon! 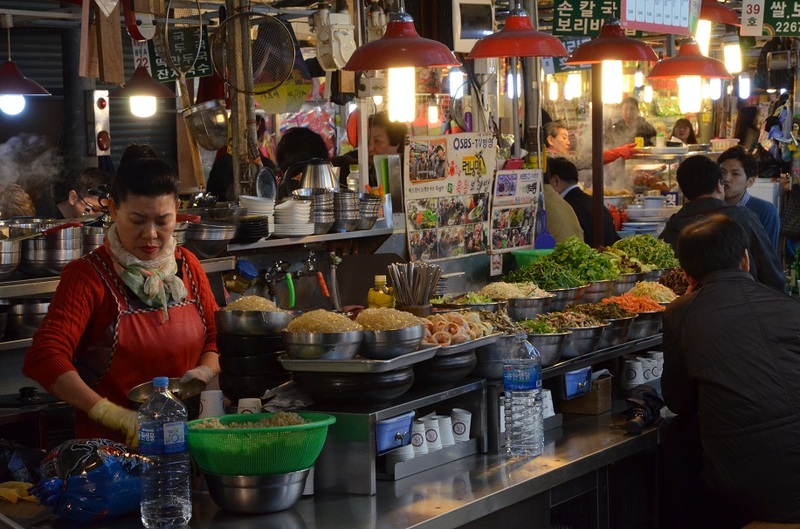 I am certain you will find Seoul as fascinating as I did. I really didn’t expect to like Seoul as much as I do now because of what some people had told me long before our trip. The people were friendlier than I thought, the palaces very impressive, the food so delicious, and the National Museum of Korea really mind-blowing. 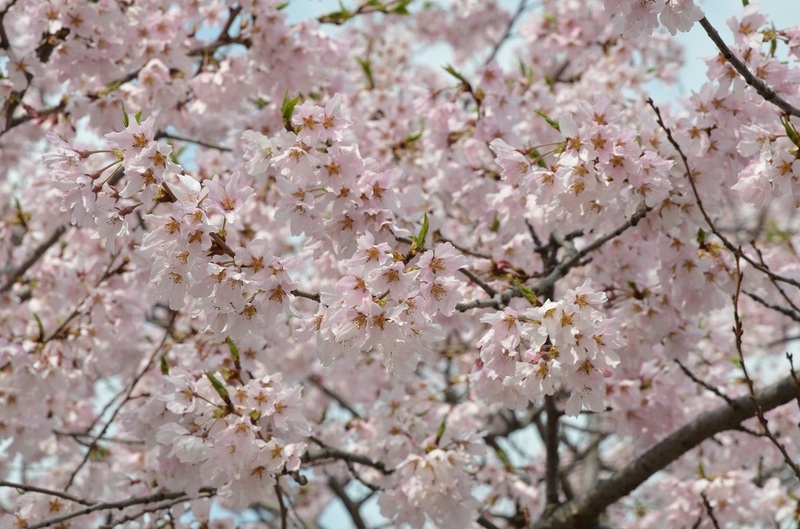 Then of course all those cherry blossoms. Jakarta (and other cities around the world) can surely learn many things from Seoul, especially regarding to the city’s endless pursuit for becoming more livable. I couldn’t agree more, Bama. My other friends and coworkers also said similar things and in so doing, kept my expectations in check. I only wish more cities around Asia were as forward-thinking as Seoul when it comes to urban design and increasing the quality of life. In Southeast Asia I guess only Singapore has risen to the occasion. This brought back such wonderful memories of my time in Seoul a few summers ago. Like you, I marveled at the juxtaposition of new and old, and I also found this huge city remarkably manageable, even on foot. Your placing of Korea in context between Japan and China was so apt; I never thought about it that way, and you are exactly right! Seoul just felt good, and I’m so glad you guys enjoyed it in spite of your late arrival and cold weather. Lex, I have to say that your post on Seoul pushed it much closer to the top of my travel wish list! 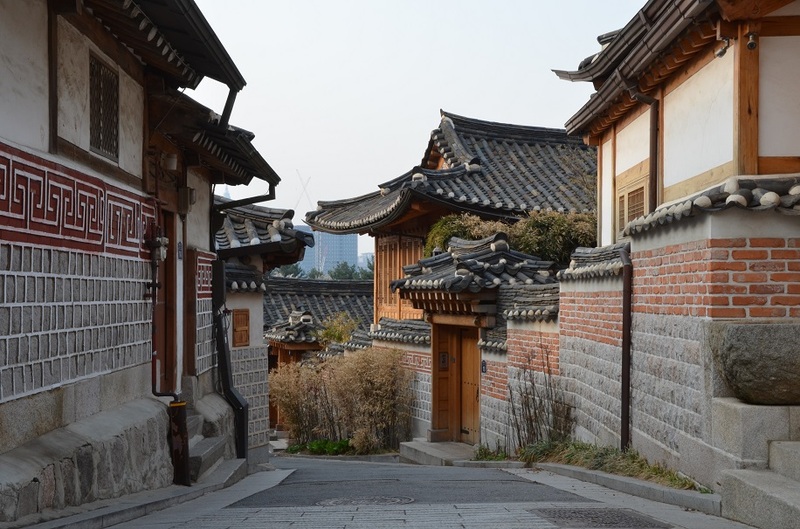 My brother went twice with different friends (he even donned Korean dress to have photos taken while in Bukchon) and he kept telling me I would have loved the history and architecture there. In the end I must have taken hundreds if not thousands of photos. I wonder if your husband is open to revisiting Seoul one day… and giving it a second chance after his admittedly awful experiences back in the 80s when it was such a different place! Open or not, my husband will have to give it another chance with me someday! James, you build a very compelling case for a visit to Seoul. This place really hasn’t been on my radar (as a travel destination) until very recently when I’ve been reading more and more interesting accounts like yours. I must admit too there is a gaping hole in my knowledge of Korea and its history. It was fascinating to read your comments about the influences of China and Japan. While traveling last month I read the novel Pachinko, which introduced me to the time of Japanese annexation of Korea. 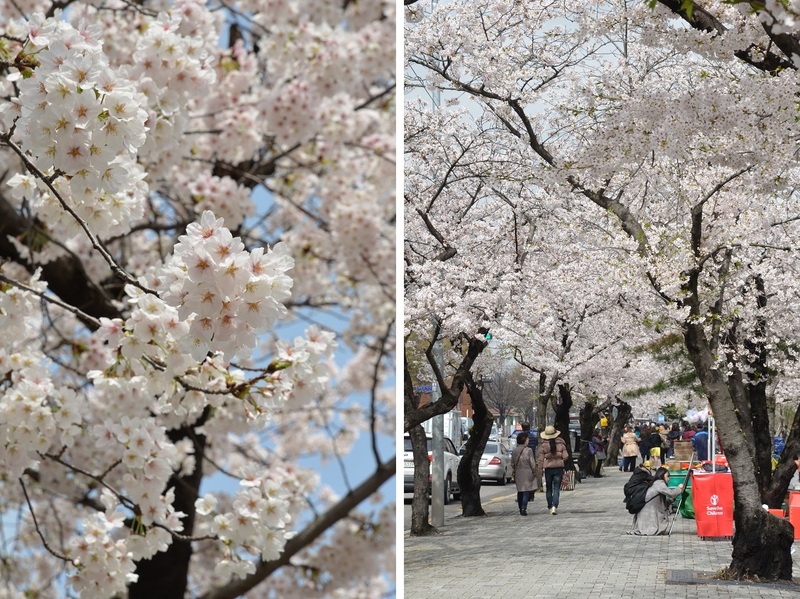 Hmmm, South Korea as an alternative to Japan for the cherry blossom experience. I like it! So based on the date of this post looks like you were just there…early May, peak time? Caroline, I’d never heard of the novel Pachinko before you brought it up here, so thanks for the recommendation! Actually I was in Seoul about a month ago in early April; I’d been hoping to write and publish this much earlier but work and travel got in the way. 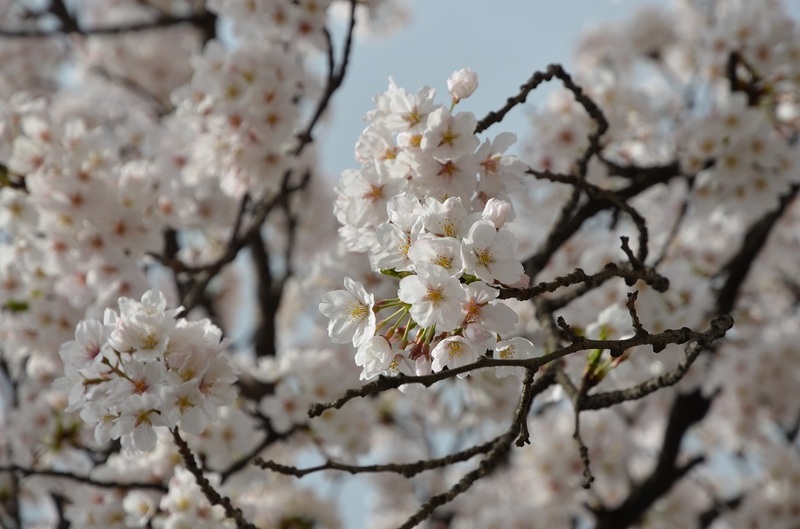 Bama and I were incredibly lucky with the timing – cherry blossom season typically spans from late March to early April in both Japan and South Korea, but because it’s so short and dependent on the conditions of the preceding weeks, planning a trip around that can be a real gamble. Even within the same country the spectacle reaches its peak at different times depending on the location. 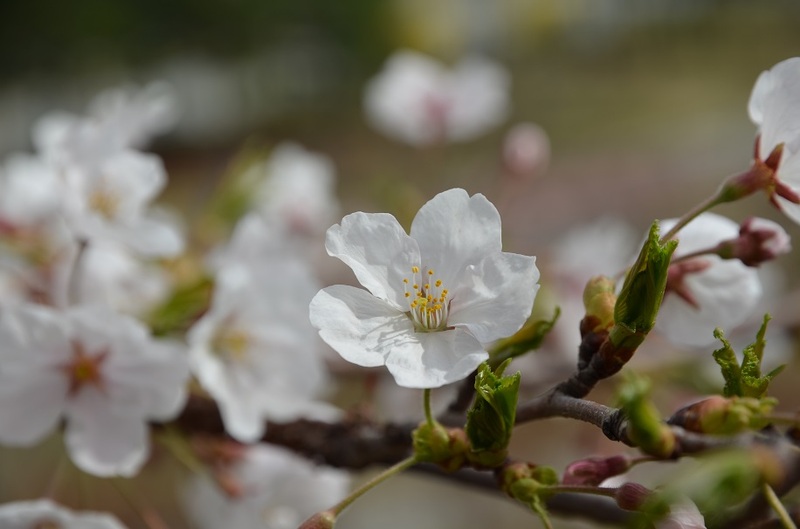 I had a friend who was in Japan around the same period and though she saw them in full bloom in Tokyo, by the time she got to Kyoto around a week later the cherry blossoms there had already fallen. So I guess my advice would be to plan a longer trip for that period and follow the “cherry blossom forecasts” online. Good advice…nature will follow her own time schedule! 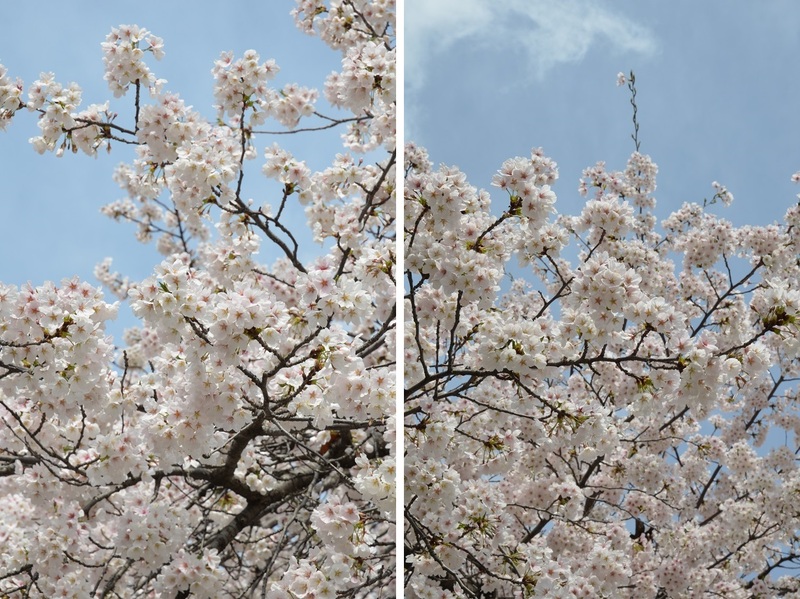 Great post about Korea, and the cherry blossom photos are lovely! Thank you, Katherine – glad you enjoyed this post! 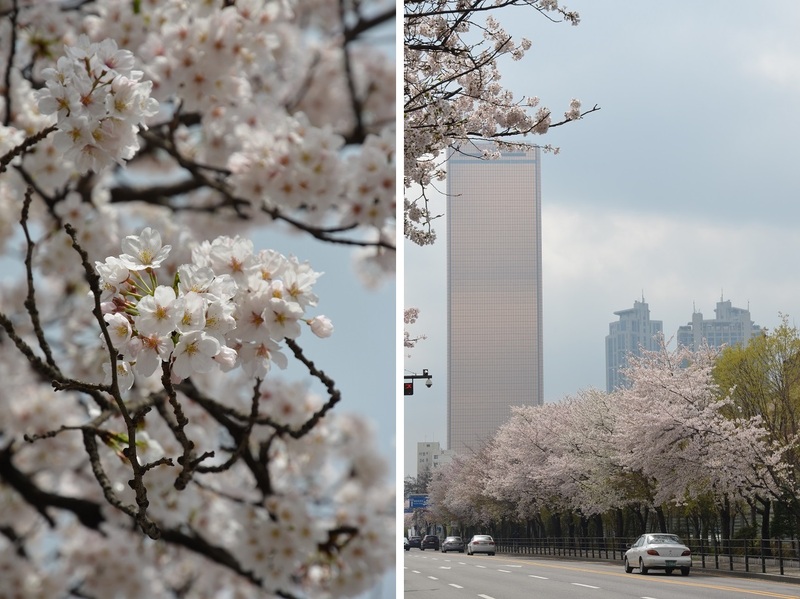 After drooling at the sight of all that delicious looking food, imagining the sweet aroma of the cherry blossoms, and getting a feel for the society of Seoul, I’ll bet many readers of this great post are ready to hop on the next plane and visit this wonderful city! Looks like there is a lot to love! There certainly is, Marilyn! The cherry blossoms didn’t really have a scent but they were an amazing sight – I must have taken more than a hundred (or two hundred) photos over the course of that morning on Yeouido island. I especially loved the food in Seoul… we never had a bad meal and the Korean steak tartare was a real revelation! Ok, I will be going to Asia…for the lst time ever. We will be in Tokyo, Nara, Kyoto. Then fly to Seoul for 3.5 days. He loved Seoul and was there solo for 3 days. He wants to ride the bike share along the paths by the “Stream” for his milestone birthday. For Kyoto, last year’s entry, did you take a bus tour to see all those temples and shrines? Good to hear that you’ll soon be coming to this side of the Pacific. Which month/season are you planning to visit? I actually walked or took public transport around Kyoto to get to the temples and shrines – the bus and train lines are fairly easy to figure out as they’re well signposted and maps are also labeled in English. Bus tours were never an option because I wanted the freedom to explore the city on foot and have more flexibility in allotting time for each place of interest. We decided not to take a bus tour because of being limited and then schlepped to a predetermined lunch spot for group lunch which seemed to have bad review. 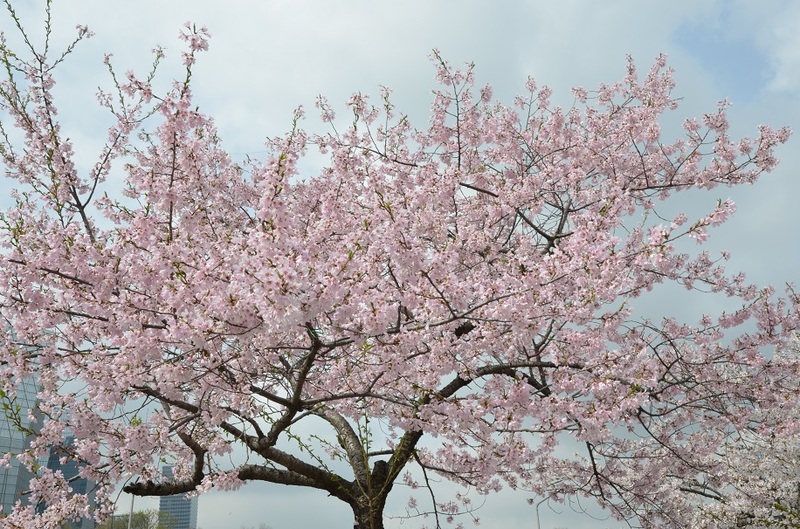 Will be in Japan in late June….rainy season and probably humid. 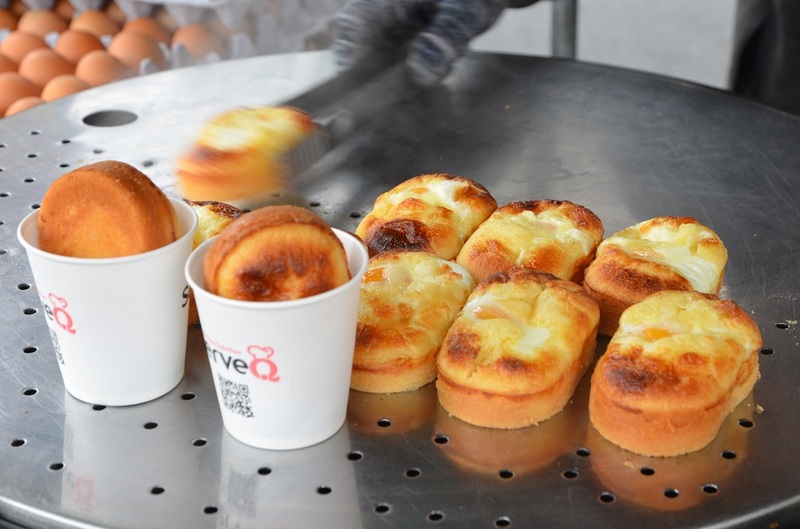 In Tokyo, Kyoto we will go to the market for (Asian) breakfast. 🙂 Normally I don’t even have soup or congee for breakfast in Canada. I don’t like the thought of dumbing down to a Western breakfast in these cities with so much choice of other things for us. 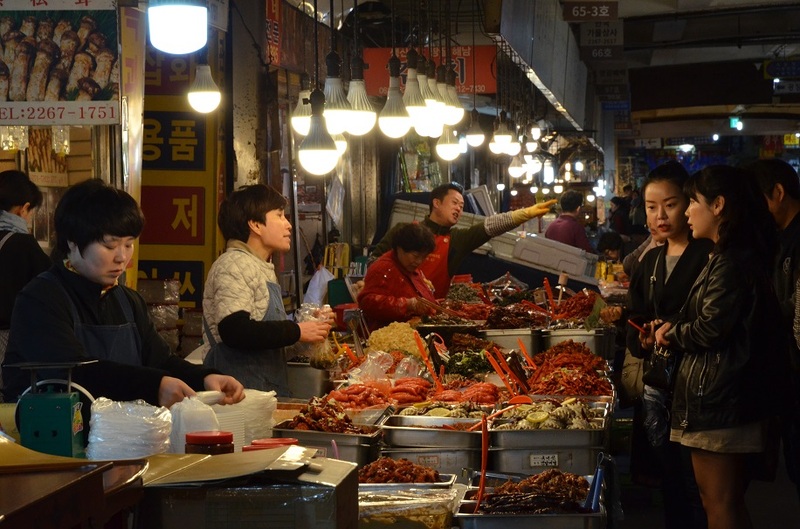 Seoul we may seek out the market downtown too …to kill 2 birds with 1 stone, eat + experience their market there also. James your description brings Seoul into my travel radar. The balance of old and wandering the labyrinth of markets with the modern conveniences and excellent transportation appeals a great deal. I also love the idea of being able to walk most anywhere and explore. 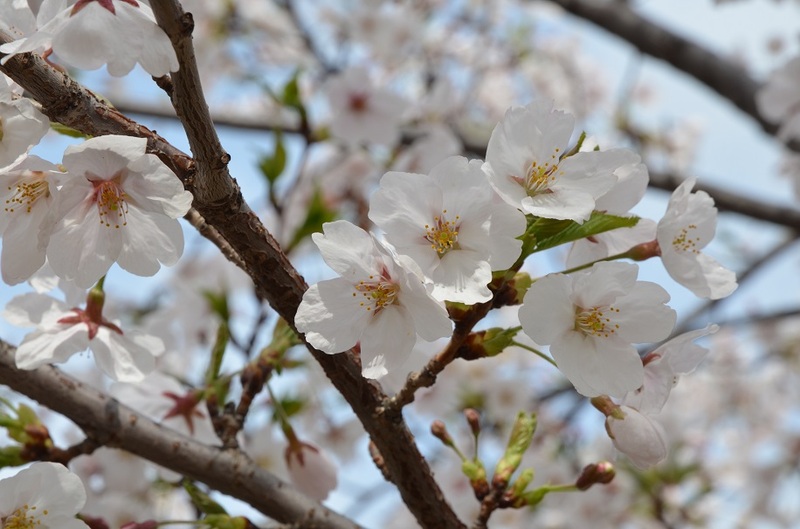 The blossoms are astonishing. Here our leaves are just beginning to make an appearance after 6 months of snow. Thanks for the preview of blossom beauty. Thank you, Sue. Seoul was fabulous and I honestly wished we had the chance to stay a few more days. I’ve heard that the hikes in the mountains around the city are excellent… so that’s another thing to look forward to. Actually I don’t think I could ever live in Alberta – I would certainly miss the ocean and miss being able to wear shorts any time of year! Ah a sweet reminder of why I love Seoul too! I can resonate with many of the points you made here. I wish to return again soon. 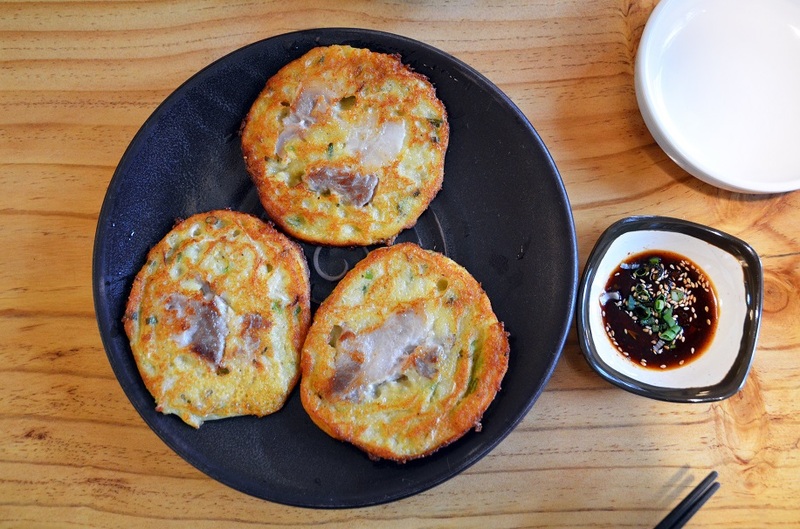 I’d also love to go back for a longer trip – Seoul has such a fabulous mixture of history, cutting-edge modernity, and plenty of delicious street food to boot. 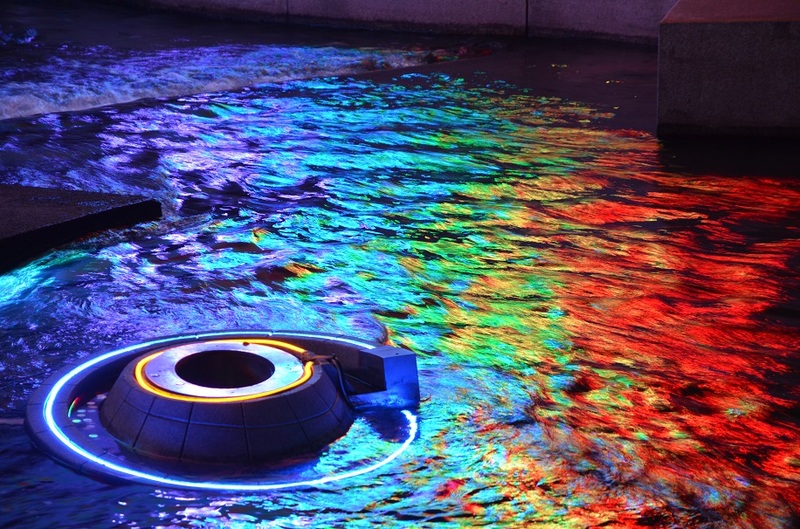 Seoul was always on our radar, but your excellent post does indeed make a compelling case for moving it up the list. 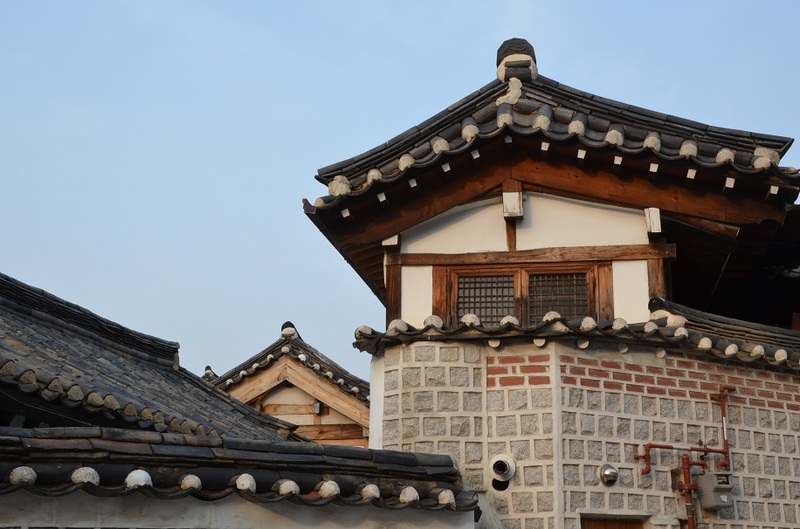 Love the Hanok houses. 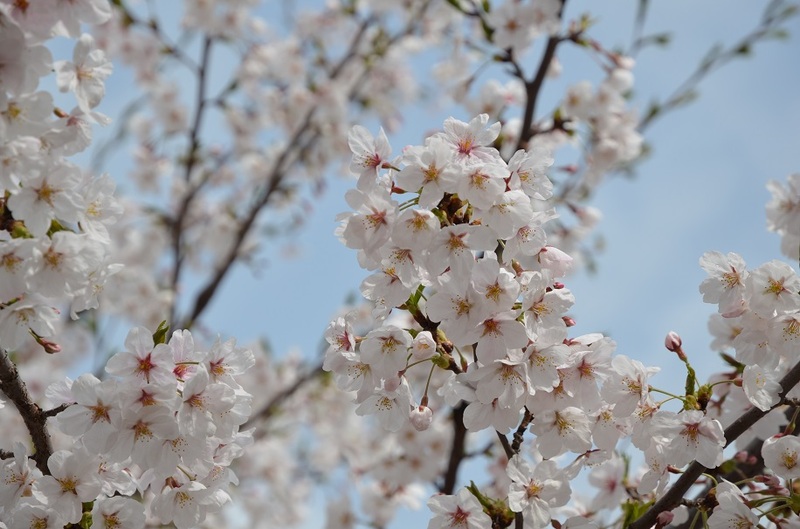 Your photos are amazing especially of the cherry blossoms. What perfect timing! 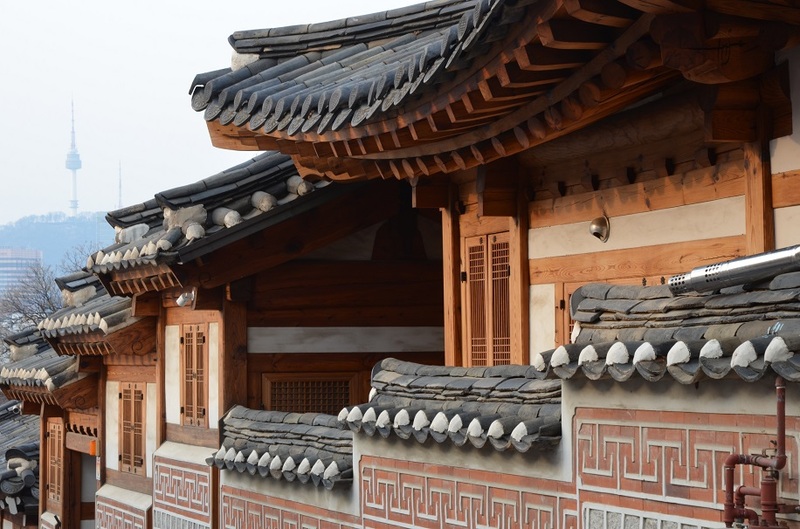 Next time I’d love to stay in one of those traditional B&Bs run out of a hanok house – that would make for an unusual experience! I completely agree, Madhu. I don’t know why so many political leaders in this part of the world lack foresight when it comes to overall quality of life. The same goes for Hong Kong, where the government has been funding a horrifically expensive (and rather pointless) 50-kilometer bridge and tunnel to Macau. Surely that taxpayer money could have been better spent on healthcare or other programs with more social and environmental benefits! I kinda like the way how you summarized 3 Asian cultures in 1 sweep. 🙂 Part of me is disappointed and almost angry at China for its individual dammed all rush to modernization and nearly ploughing anyone, including locals who stand in its way…to make money, look good to western world. I wasn’t surprised my partner couldn’t see any heritage for the little time he was in Shanghai in Bund, and in area just across river from Bund. Thanks Jean. 🙂 With China, I think part of it is the fact that it’s heavily overpopulated so naturally people tend to look out for themselves and have a survival instinct. The decades of hardship under Mao Zedong certainly didn’t help; the Cultural Revolution had the effect of wiping away traditional morals and value systems. Even one of my aunts who has been doing business in China the past 30 years tells me they have no sense of ethics. Another thing I’ve realized is just how innately materialistic the culture is – as a brief example so many of the traditional greetings and wishes at Chinese New Year are all about prospering and accumulating wealth. The idea of getting more money is so important in the culture that it even affects how you design or lay out your home and workplace (as in feng shui). Shanghai is an interesting case – there is a lot of heritage there but very little of that is classically Chinese. It only became a major city in the early 19th century as a trading port with multiple foreign enclaves, and for that reason it has long had a cosmopolitan, East-meets-West flavor. I imagine your partner may not have recognized the heritage there because so much of it is influenced by the West; even the traditional “shikumen” architecture borrows a lot of elements from European terraced houses. I’ve also read that Shanghai has one of the greatest collections of Art Deco buildings of any city in the world. Sometimes it’s just better for a Chinese national to live several years somewhere else in the world to see how another society operates. I am a loyal Canadian –given my personality, it’s better for me to live in Canada. And I say this also after having travelled on 5 different trips to Europe.